In the room you’re sitting in, there will be a mixture of gases – nitrogen, oxygen, argon and carbon dioxide. Some of that carbon dioxide will be from burning fossil fuels. Theoretically, you could work out how much carbon dioxide various activities or different companies have contributed to the air in the room. That’s what the Carbon Majors report attempts to do. Author Richard Heede has discovered that two thirds of emissions since the beginning of industrialisation are attributable to 90 large institutions – mostly oil and mining corporations, with a handful of big cement companies. Their impact is considerable. 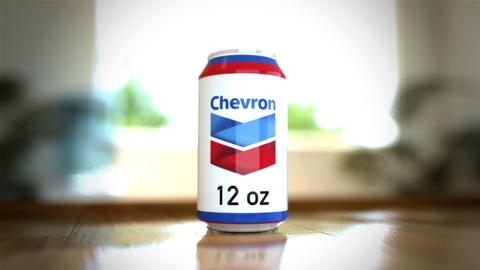 In the average small room there will be enough CO2 from Chevron to fill a coke can. 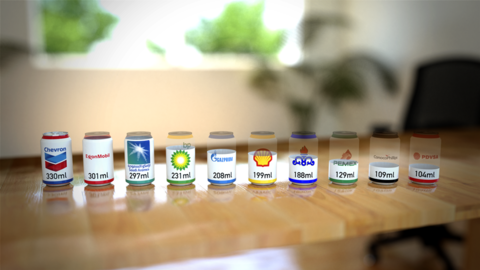 You get just short of another can out of ExxonMobil and Saudi Aramco too, with BP and Gazprom rounding out the top five. These images are from Carbon Visuals, who I’ve mentioned before. If you want to see the carbon majors total CO2 contribution rather than just the bit in your room, visit their Flickr page.